Carolina Yoga is the yoga school comprised of Carrboro Yoga, Durham Yoga, and Hillsborough Yoga in central North Carolina. Our advanced studies 500-hour yoga teacher training is for teachers who have completed a 200-hour teacher training, either with us or elsewhere. In the program, you’ll deepen your understanding of yoga pedagogy, philosophy, and professionalism and sharpen your skills so that you can better serve your students and your community. Upon graduation, you’ll be able to register for the Yoga Alliance 500 RYT designation. Our 500-hour yoga teacher training program contains both required modules and electives. You’ll finish with a thorough grounding in alignment, anatomy, and yoga’s transformative tools, while having freedom to explore in depth the special topics that most interest you. The required and elective modules are all offered numerous times over the five-year period of your enrollment, so you can choose to complete them at your convenience. They do not need to be done in the order listed; choose the schedule that works for you. Beyond the modules, you’ll receive individual mentorship from our faculty. Our lead teachers are Sage Rountree and Mira Shani. 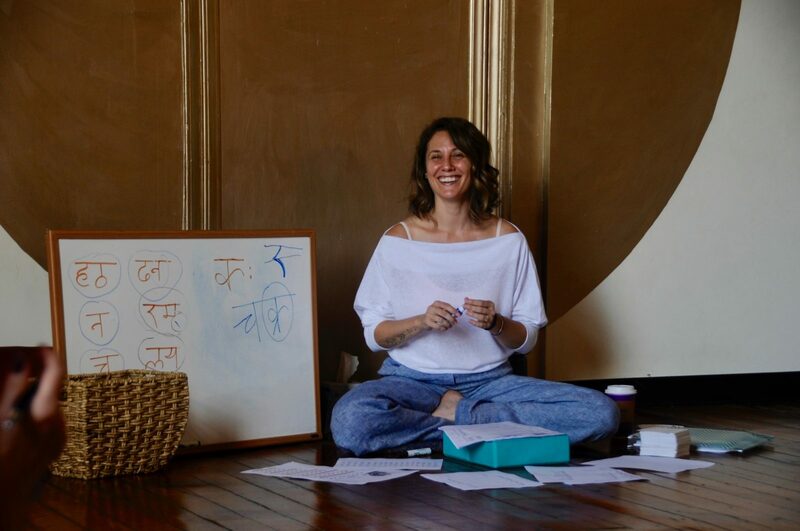 Core Curriculum with Mira Shani, including alignment, assists, theme integration, language refinement, and key skills to elevate your teaching. This core curriculum involves a great deal of individual feedback and support. This module meets once a month for six months on the third weekend of the month from September through March 2020–21, with no class in December (90-hour multiweekend module). In odd-numbered years, we offer a summer intensive including the core curriculum, Sequencing Yoga Classes, Yoga and Positive Psychology, and more. This approach allows you to cover most of the requirements and some of the electives all in one glorious stretch of immersion in Carrboro! This next happens in summer 2019, with the core units sprinkled throughout. As you’ll learn best by completing the core curriculum as a chunk, we highly encourage you to commit to the full complement of six modules in a row. If you need to miss one, you must make it up in the next session (i.e., summer if you’re doing the weekend version, the weekend if you’re doing the summer). Yoga Anatomy with Helen Tapper and Laura Terry (18-hour weekend module). 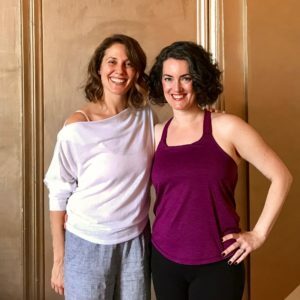 Helen and Laura next offer this workshop July 26–28, 2019. Professionalism (media/legal/ethical) with Sage Rountree and Lies Sapp (18-hour weekend module, with online/mentorship alternative). Classroom Management and Safety with Sage Rountree and Lies Sapp (18-hour weekend module, with online/mentorship alternative). Either Energetic Body or Introduction to Ayurveda (18-hour weekend modules). Mira will next offer Energetic Body in November 2019. Sequencing Yoga Classes with Sage Rountree (40-hour weeklong module, with online/weekend/mentorship alternative). Sage next offers this workshop in person June 24–28, 2019. Yoga and Positive Psychology with Michael Johnson (18-hour weekend module). Michael next offers this workshop July 5–7, 2019. Each module (or an appropriate substitute) will be offered at least twice during your five-year contract. In addition, you will choose from a number of elective modules that meet or exceed the remaining required 50 hours. Yoga for Seniors with Carol Krucoff (8-day/50-hour module). As it is held at the Duke Center for Integrative Medicine, we cannot extend a discount to this program. If this is your elective, you may graduate after completing the required modules and this module. Whole Mama Prenatal and Postnatal Yoga Teacher Training with Alexandra DeSiato and Lauren Sacks (85-hour module). If this is your elective, you may graduate after completing the required modules and this module. In addition, it qualifies you for the Yoga Alliance’s specialization in prenatal yoga. Alexandra and Lauren next offer this module in a weekend format, October 2019 through February 2020. Teaching Yoga for Athletes with Sage Rountree (40-hour weeklong module, with online/mentorship alternative). You will need another elective module in order to graduate after completing the requirement modules. Sage next offers this module July 15–19, 2019. Therapeutic Essentials for Public and Private Yoga (3 weekend modules for a total 32hrs). You will need another elective module in order to graduate after completing the requirement modules. Mira next offers these modules September–October 2019. Rhythmic Flow Weekend with the Kunga Drummers and Thai Yoga Massage with Kristin Cooper (10-hour weekend module), which may be coupled with Yoga for Athletes or Yoga Therapeutics to complete the required 50 hours. Kristin will offer this module November 2019. Introduction to Ayurveda or Energetic Body—whichever was not chosen as a required module (12-hour weekend modules). Yoga Sutras or Sanskrit (18-hour weekend modules). 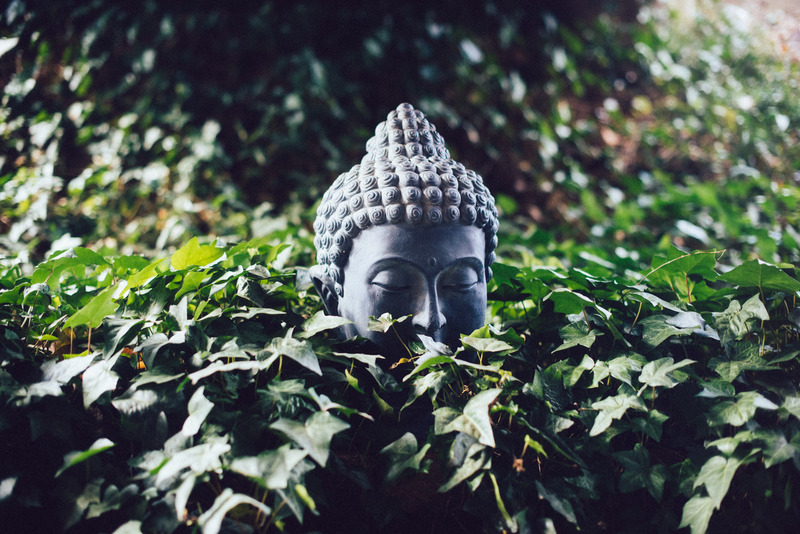 Love Is Presence: Vipassana Meditation and Mindfulness Training (18-hour weekend module). Core Strength for Real People with Sage Rountree (12-hour weekend module). These last three or their equivalents meet the remaining elective hour requirements. Other offsite workshops will be considered as electives case by case. Begin by completing the application online. Upon acceptance, you will pay a $750 initial fee. This fee entitles you to enrollment in the 500-hour program and a 15 percent discount on all—yes, ALL!—workshops hosted by Carrboro Yoga Company, Durham Yoga Company, and Hillsborough Yoga Company for five years from your enrollment date. This discount takes the place of the smaller early-bird discount—that is, it is 15 percent off the full price. Committing to workshops early ensures they have enough students to take place. You’ll also sign our contract, and you’ll enter our system, so we will keep track of your progress toward completion. To estimate cost, begin with the $750 enrollment fee, then factor in the pricing for the required modules, which you’ll find listed on our Continuing Education page. Beyond these base costs, the total cost of the program depends on the electives you choose. With our unique summer immersion offered in odd-numbered years, our program regularly appeals to visitors from out of town. We are delighted to welcome students from across the continent and beyond; participants have come from as far as Sweden and Hong Kong. Our travel accommodations page will get you started. These are a few of our faculty members. Q: Is this a 200-hour, a 300-hour, or a 500-hour program? A: Technically, as per the Yoga Alliance guidelines, it’s a 270-hour program that, in combination with a 230-hour teacher training (like ours; these are commonly called 200-hour programs) will qualify you to register with the Yoga Alliance at the 500-hour level. A: Five years from your enrollment date. We offer both required and elective modules several times in a five-year cycle, so you can schedule at your convenience. Q: What if I have to pull out of the program? A: As you have five years to complete the program, there’s ample time to step away if your life circumstances change. Your $750 enrollment fee is nonrefundable. Q: Tell me more about the 15 percent workshop discount. A: When you register, you’ll receive a code that will give you 15 percent off all workshops at Carrboro Yoga, Durham Yoga, and Hillsborough Yoga for five years. This applies to any workshop, not just the required and elective modules, as each workshop we offer will help you further your understanding of yoga. Please note: the 15 percent is calculated from the workshop’s base rate, not the early-bird rate; it equates to more than double the early-bird discount. We appreciate your early registration for workshops, though, as it ensures each workshop hits minimum attendance. Q: Is the program friendly to out-of-towners? A: Very! We always have several distance students enrolled, and our graduates include teachers based in Hong Kong and Sweden. We offer the core curriculum in even-to-odd numbered years (e.g., 2020–21) in a one-weekend-a-month format over six months, and again in odd-numbered summers (e.g., 2021) as a summer intensive, which means that you will have a cohort to move through with (it’s so fun to be back with a core group of colleagues, just like in your 200), but also that you can make up ones you have to miss pretty quickly. Carrboro is a lovely, walkable town with accommodations at every price point and great dining and culture. Visit our Travel Accommodations page to plan your first stay. Out-of-town students usually make a friend over the first visit that they can stay with thereafter! Q: Do I have to do the modules in the order listed here? A: Not at all. Start with whatever suits your schedule best. The only prerequisites are, obviously, the numbered segments of the core curriculum: take Alignment 1 before Alignment 2, and Assists 1 before Assists 2. This course is available as an online yoga teacher training.